Representatives of CLEMSON’S BEST™ ice cream are literally screaming with enthusiasm after announcing that the university’s latest dairy product is the title sponsor of Spring Weekend. Baseball fans will be the first to taste CLEMSON’S BEST™ when the Tigers battle the Hurricanes on Friday, which starts three days of sports mania and solid orange April 13-15. Officials hope fans will scream, too — for a Clemson victory and for the ice cream. Participants can sample free cups of Tiger Orange Vanilla, the flavor that officially will be sold at Doug Kingsmore Stadium, Clemson Memorial Stadium and Littlejohn Coliseum. Look for ice cream samples at all three baseball games played Friday, Saturday and Sunday. Brand officials on Saturday also will hand out CLEMSON’S BEST™ at Be A T.I.G.E.R. Field Day on the Littlejohn lawn and inside Clemson Memorial Stadium during the Spring Game. Follow the ice cream signs, look for the bright orange tents and listen for sampling locations broadcast on PA systems during the games. And don’t forget to scream for CLEMSON’S BEST™ ice cream, the favorite ice cream of the Clemson Tigers. Clemson’s BEST™ is a Certified SC product and made with ingredients grown by CU grads. Ten percent of the ice cream proceeds support the College of Agriculture, Forestry and Life Sciences. Look for pints of CLEMSON’S BEST™ at 107 Ingles locations across South Carolina, North Carolina, Georgia and Tennessee. It’s official. Tiger Orange Vanilla is the CLEMSON’S BEST™ flavor that will be sold at Doug Kingsmore Stadium, Clemson Memorial Stadium and Littlejohn Coliseum. Fans will find it in 6-ounce cups and flavored in vanilla with a Clemson orange tint. The signature treat will make its university debut at Clemson Spring Weekend April 13-15, when 15,000 cups and 2-ounce tasting samples will be given away at all three baseball games played Friday, Saturday and Sunday. Brand officials on Saturday also will hand out CLEMSON’S BEST™ at Be A T.I.G.E.R. Field Day on the Littlejohn lawn and inside Clemson Memorial Stadium during the Spring Game. Tiger Orange Vanilla will be sold as a concession item at the baseball game against Kennesaw State on April 24, and at every home game thereafter. Other pint-size flavors can be found at 107 Ingles Markets across The Carolinas. Negotiations also are underway with Food Lion and Harris Teeter. Flavors available for purchase off-campus at Ingles are vanilla, peaches and cream, strawberry shortcake and butter pecan. Clemson’s BEST™ is a Certified SC product made with ingredients grown by CU graduates. A portion of each purchase will help support the College of Agriculture, Forestry and Life Sciences. Family farms in South Carolina produce the main ingredients. Cream comes from an Edgefield dairy; strawberries from a fifth-generation farm in McBee, pecans from a Ridge Spring family-run orchard, and peaches from another Ridge Spring farmer, who produces half of the state’s peach crop. Two of South Carolina’s most prominent agriculture leaders today endorsed CLEMSON’S BEST™ ice cream. 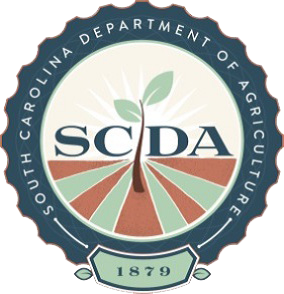 State Agriculture Commissioner Hugh Weathers and Harry Ott, South Carolina Farm Bureau president, separately conveyed their support in letters to the head of Clemson’s finance and operations department, which is coordinating the university’s latest branded dairy venture. The 100,000-member organization Ott heads supports family farms and locally grown food and fiber. 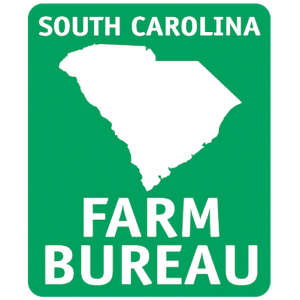 Its government relations division executes policies and acts as a watchdog of sorts for farm families, safe agriculture practices and rural lands — not unlike Clemson. And its latest dairy product reflects the university through and through. The milk, fruits and nuts found in CLEMSON’S BEST™ gourmet flavors — Strawberry Shortcake, Peaches and Cream, Pecan Candy (butter pecan), and traditional vanilla — are grown in South Carolina by farmers educated at Clemson. The cream comes from cows at Hickory Hill Farms in Edgefield. Peaches are grown at Titan Farms in Ridge Spring and pecans are shipped from the Nut House, also in Ridge Spring. Strawberries are grown by McLeod Farms in McBee. CLEMSON’S BEST ™ also has earned the Department of Agriculture’s Certified SC seal, and 10 percent of the proceeds directly benefit the College of Agriculture, Forestry and Life Sciences. Pay-it-forward initiatives include internships, scholarships, and campus programs and activities. As Titan Farms owner Chalmers Carr reminded university brass in a third endorsement letter, the through-and-through concept is not a new approach for Clemson. In fact, the collaboration between farmers and their alma mater emphasizes the university’s deep roots. As a land-grant institution, it was established to give the middle class and working people access to government-funded education centered on agriculture and practical engineering. The concept encouraged long-lasting and close ties between graduates and their alma mater. “I speak for all the farm families involved in CLEMSON’S BEST™ when I say we get great satisfaction from putting a smile on the faces of those who enjoy food grown from our orchards, fields and farms,” Yon Family Farms owner Lydia Yon wrote in a letter to university VP Dalton. Pecans from her family’s orchards are used in CLEMSON’S BEST™ butter pecan-flavored ice cream. “The story of this locally grown product is a testament that the education and training we received at CU is being put to good use,” she said.